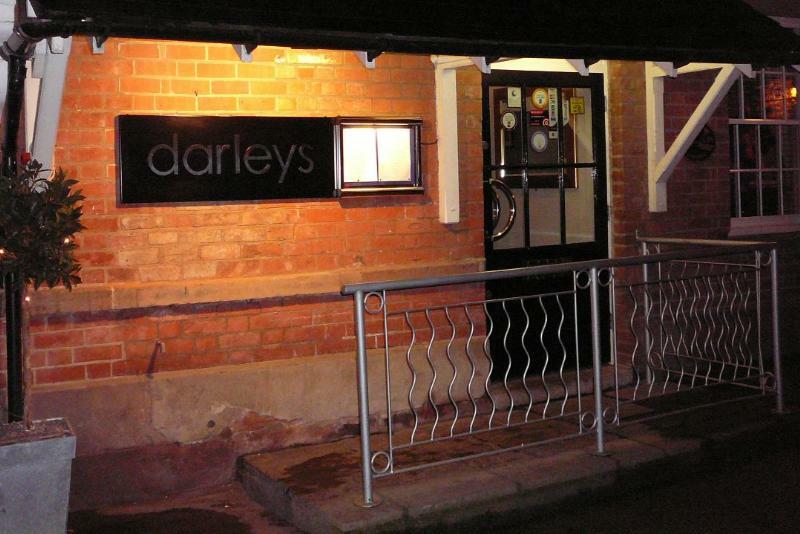 Darley Mill conjures up images of Victorian England and the Industrial Revolution, but there's nothing archaic about the elegantly contemporary restaurant. A smart decking terrace overlooks the fast-flowing River Derwent, and the interior is defined by cool design features. Local supplies are at the heart of chef/proprietor Jonathan Hobson's seasonal menus - witness sharp lunch dishes such as seared mackerel fillet with fennel and thyme marmalade or marinated breast of guinea fowl with basil pasta and red pepper syrup. Dinner menus aim for something more ambitious, along the lines of fillet of turbot with razor clams, wilted baby gem and Sauternes broth or ribeye of beef with a crisp rice cake, wild mushrooms, gherkin and paprika sauce. Desserts are neat offerings like iced apple parfait with apple sorbet and apple fizz or sweet rice pudding with caramelised Derbyshire plums. The concise wine list offers a decent worldwide spread, with 'personal recommendations' topping the bill.